R&D Solutions Ltd. is an IT company that specialises in bespoke software development of enterprise systems and solutions, cross-platform mobile apps, UI/UX websites and cloud managed services including DevOps automation with Amazon Web Services (AWS). We provide a complete IT services package right from the consultancy stage, architecture analysis & design, through to development, implementation, deployment, support and maintenance. TheDevOps methodology of continuously delivering a consistent value and quality-driven service is at the heart of our software programming, project management, systems integration, quality assurance and business processes automation. That is why we have implemented a Quality Management System compliant with ISO 9001:2015, available as documented information and communicated to all interested parties. Our mission is to make the binary code speak the language of business and assist companies in their efforts to achieve competitive advantage. We believe that “coding” means something when it brings improvements to everyday life and helps to make organisations successful. To understand our customers’ needs and to provide consultancy and a viable solution within relevant budget, time-scale and available resources in order to optimise results and therefore exceed customer expectations. To develop reliable, stable and tested software code in a short delivery cycle following the methodology of DevOps’ continuous integration (CI) and continuous deployment (CD). 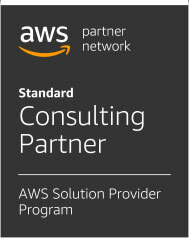 To provide companies with cost-effective world-class infrastructure and quality IT services on the AWS cloud and enabling access to cutting-edge technology To invest in the education, skillset development and well-being of our team and give them the opportunity to realise their full potential, resulting in a high level of work satisfaction and motivation. To follow an ethical code of conduct and comply with the relevant legislation and applicable international standards. To pay close attention to the market dynamics of the business environment and the needs of our employees, customers, partners and suppliers in order to shape a scalable, flexible and adaptable quality management style which constantly revises, evolves and improves. To create a company atmosphere of open communication, leadership, knowledge sharing and collaboration so that every employee is aware of the company procedures and contributes towards the fulfillment of the company’s strategic goals and quality standards. To exercise professional conduct at all times by adhering to strict confidentiality that respects and ensures the safety and protection of sensitive information concerning our employees, customers, partners and suppliers via the highest standards of personal data and information security.